12. This version of the iconic LOVE graphic is so simple, but looks so impressive (like many of the best ideas, right?). We found it at How to Nest for Less, but again, we wish we could find the original source for more creative ideas like this one. Notice how the sheets aren’t perfectly pressed and the baby’s arms aren’t perfectly in focused? That’s okay. 13. 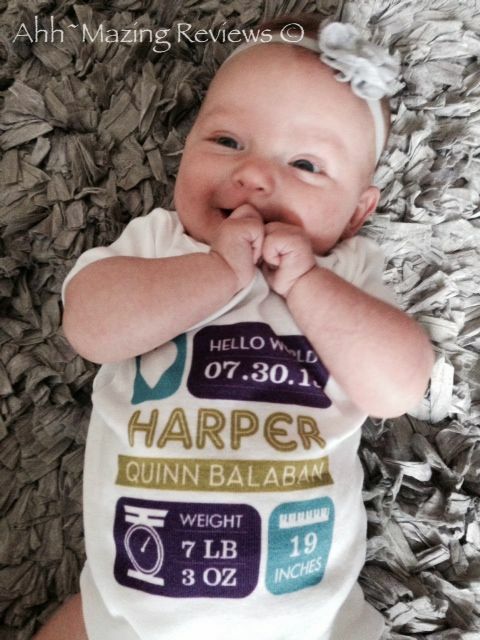 How great is this custom birth announcement onesie by Petite Lemon, designed with all of your baby’s important birth stats? We’ve seen quite a few of these, but the strong colors will make the photo much easier to take, like this baby photo from Ahhmazing Reviews. Just set your baby down on a neutral but interesting background (this bedspread works well) and…easy. Plus, you don’t need to take up the front of the card with all the stats since it’s built right into the photo. 14. 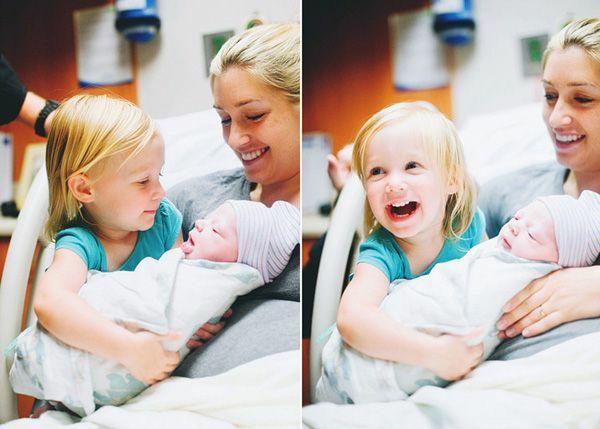 I love incorporating older siblings’ authentic reactions to the new baby in a birth announcement, and there are some great tips on how to get a good shot of big sibling with the new baby at I Heart Faces photography site. One or two perfect ones is all you need. 15. Twins can be harder to shoot, since there are—well—two of them. 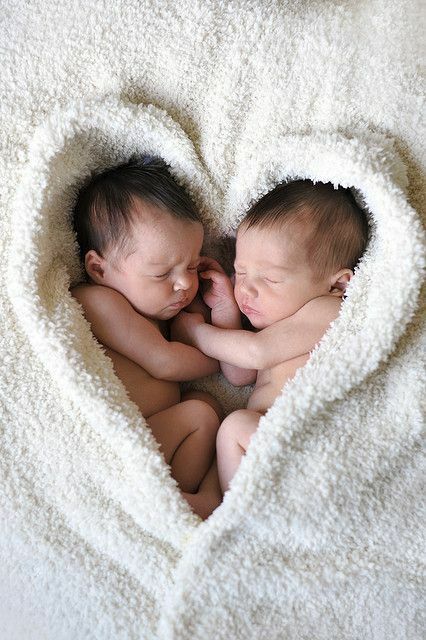 You can always feature two separate shot, as most parents of twins do, but we have to give a nod to this sweet towel-wrapped heart twins photo announcement by YellowBlueBus. Bonus: they’re bundled and happy the whole time, and hey, we think they even kind of like each other. We can’t wait to see your own creative birth announcement pics! Share them with us on Instagram by tagging us @coolmompicks. Thank you so much for including the photo of my son, Archer. This photo has really gotten around on Pinterest. Of course, it’s one of the few on my blog that doesn’t have my watermark. Go figure. These are such a nice photos! 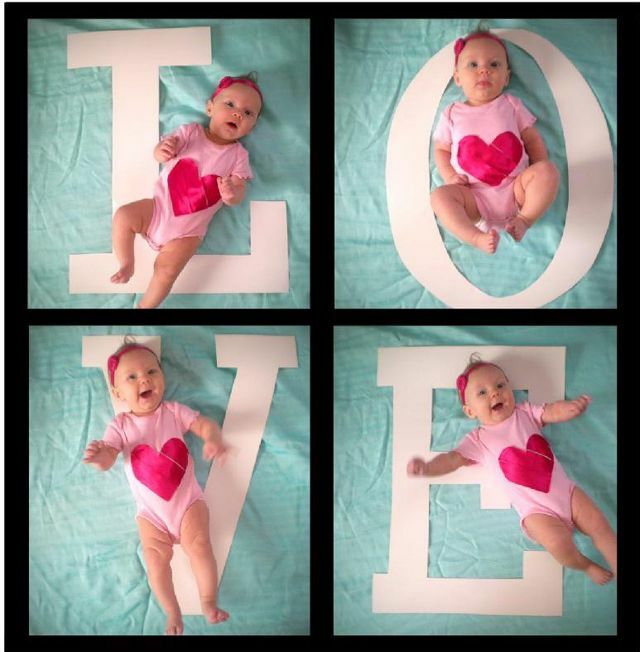 I’d like to share one more idea with you with this video template https://youtu.be/xzM_1zyxTz4 ideal for birth announcement or baby first birthday, it can have up to 40 photos so there is plenty to introduce your new baby! These are so creative and fun! Maybe one day I’ll get brave enough to pick up my camera and take baby portraits instead of just capturing landscapes!